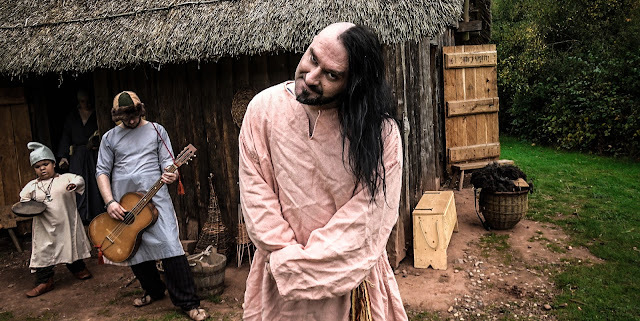 British independent band WEAK13 have released the 'Loyal Coward' music video set in the Viking Age today (January 13th 2018) featuring the Svartland Living History Society. who hail from Wolverley, near Kidderminster. Their latest music video, taken from their album 'They Live', is definitely the most commercial sounding WEAK13 song to date but nothing is ever quite what it seems in regards to how the band functions. Normally a WEAK13 tune is coated in semiotics, subliminal messages or loud subtext but the first glance of 'Loyal Coward' appears surprisingly landmine free, extremely mainstream and very radio friendly. Whilst on the surface it appears as if this is them selling out it's more than likely that this a clever rouse rather than a U-Turn but are they really playing with people's minds? WEAK13 is one of the most influential British DIY bands since the millennium age. Always inspiring fresh upcoming bands with their strong anti-mainstream message, manic self-funded music videos and never shy about song content. As they announce their brand new music video release 'Loyal Coward' they, like clockwork, prepare their annual middle finger which has become almost a tradition like a Morcome & Wise Christmas Show once was. The two main band members, Nick J Townsend and Wesley Smith, commented on why 'Loyal Coward' was noticeably different to the majority of their other releases. Frontman and guitarist Nick J Townsend stated: "We're musicians; not louts. There's always been those boring critics who label us as a rah rah band because they aren't smart enough to adequately address the music". Bassist Wesley Smith added "Yeah, I guess with Loyal Coward we're showing folks who screw with us that we're songwriters". Nick continued "It's a tune that lyrically means a lot to me; I don't really care what it means to you; no offence intended. There are no subliminal messages in this song either; you have my word as a professional liar". After a few more Townsend one-liners Wesley Smith decided to answer the original question "It's a pop song with an unpopular theme which is depression and addiction; obviously it's different because we're using a variety of acoustic instruments; Nick wrote most of it in about two days during a very low point. He was a total mess a few years ago after a relationship breakup so I told him to just write". Lyrically Loyal Coward appears to convey an anti-drinking message heavily hinting failure and yet the tune itself is arguably cunningly disguised as a drinking anthem. 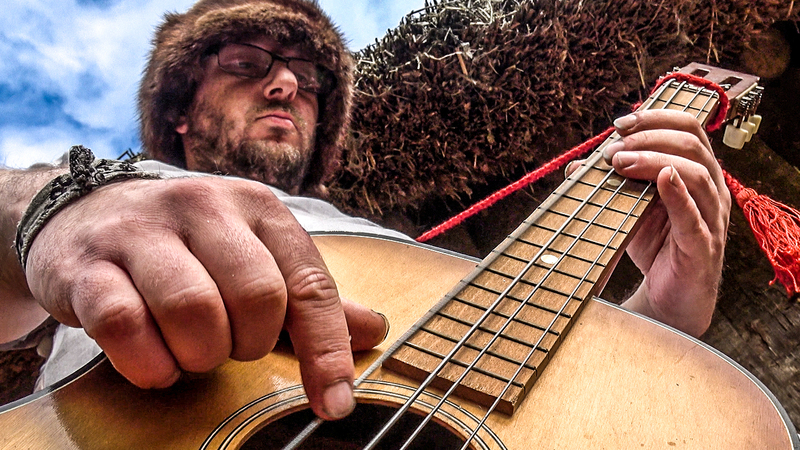 The music video directed and produced by Nick J Townsend is set during the Viking Age and features special guest appearances including the Svartland Living History Society and Birmingham DJ Pandora Rox. Nick revealed some backstory. "It was originally going to be set in the present but I shelved the idea as it seemed too dull so recreating a historical period seemed more interesting. The really smart thing for me to say is that the Vikings in the story represent alcohol and how it can screw up everything in your life or everyone around you but I just made that up a minute ago to sound like I know what I'm talking about; I think that's definitely the reason I'll give from now on though". Check out the video for 'Loyal Coward' below! 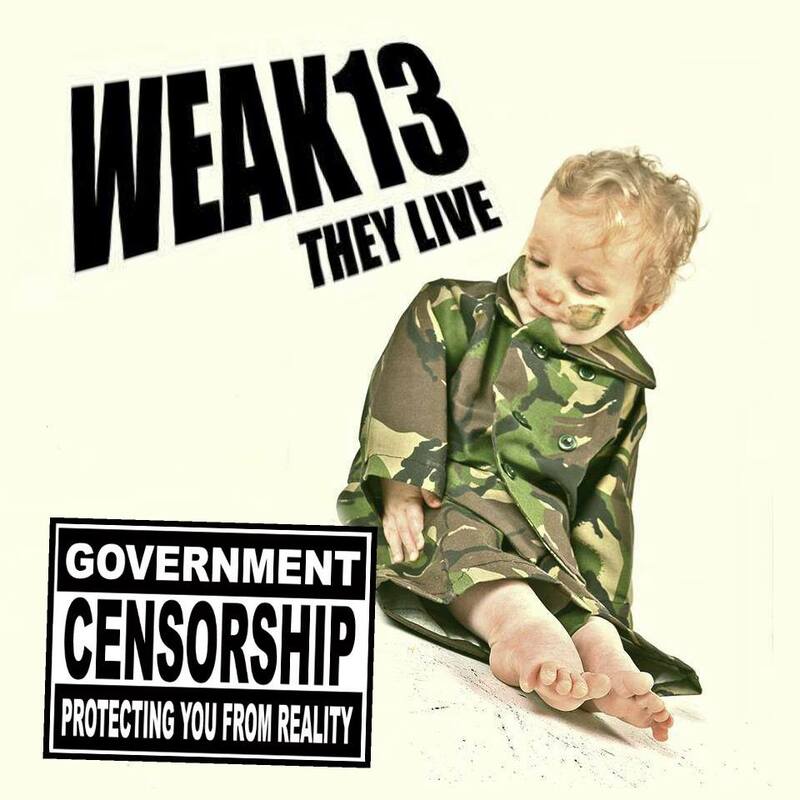 WEAK13's debut album 'They Live' is out now and available to stream, download or purchase on iTunes, Spotify, Amazon Music, Deezer and more. Debut album 'They Live' available from Official band website weak13official.com [Facebook] [Twitter]. 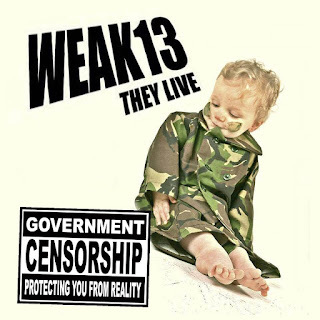 Watch more music videos by WEAK13 here: 'Halo'  ,''Obey The Slave' , 'Down On Me , 'Go Away' , 'Joke' , 'SP' , 'You Don't Love Me' , 'Wake Down' . A good article, and thanks for the mention. However, we are actually based in Wolverley, near Kidderminster, not Wordsley.